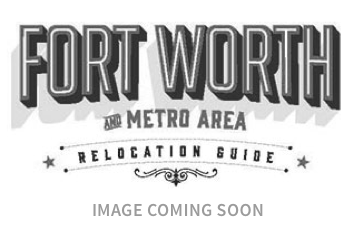 Luxury is the lifestyle in many parts of southwest Fort Worth. One of the area’s most well-known and lavish communities is Mira Vista. The 700-acre gated community comes complete with its own country club and nearby private school, Trinity Valley. Expect to pay well over half a million to reside inside this gated community, but you’ll get a newer home that’ll surely take your breath away. On the north side of I-20 is another notable neighborhood called Wedgewood. These homes are modest, affordable, and cozy. The 1960s-and 1970s-vintage homes go for around $98 per square foot, and the community is just minutes away from Hulen Mall, where big-name department stores and well-known retailers are ready to stock your new home with the finest furniture and décor this side of Fort Worth. While you’re shopping, pick up some new sneakers and head over to nearby Oakmont Park for its miles of hiking and biking next to the Trinity River. According to the Texas Parks and Wildlife Department, this is one of the best places to watch urban wildlife. So keep your eyes and ears open for downy woodpeckers and great blue herons, which nest nearby. The historic land of family-owned Edwards Ranch has developed into one of the city’s prime neighborhoods. The Clearfork development offers numerous shopping, dining, fitness, and entertainment options as well as a farmers’ market and office space, making this neighborhood a hot spot in the heart of Fort Worth. Further down the Chisholm Trail Parkway you’ll find the new 600-acre development bearing its name: Chisholm Trail Ranch. In addition to a less-than-12-mile drive downtown, this neighborhood has plans for extensive hike and bike trails, a new elementary school, and vast retail expansion. Southwest High School houses Fort Worth ISD’s Gold Seal Programs of Choice in petroleum engineering, broadcast media, and musical fine arts.